Welcome to Rah Villas. Our vision for Rah Villas Hotel was to provide a place where people could escape to the Kashmir Himalayas to experience unspoilt nature and the warmth and hospitality of the Kashmiri village life while still enjoying some small luxuries . We wanted to help people have an interesting and relaxing travel experience, an experience that they would always remember and cherish. We also wanted to create a space where we could come with our family and friends, build our own connections with the local community and enjoy this remarkably beautiful part of the world. We wanted to get every small detail right and it took us over three years to get the hotel ready for guests – it is truly a labour of love for us. We hope you will enjoy staying here and getting to know this area as much as we have. 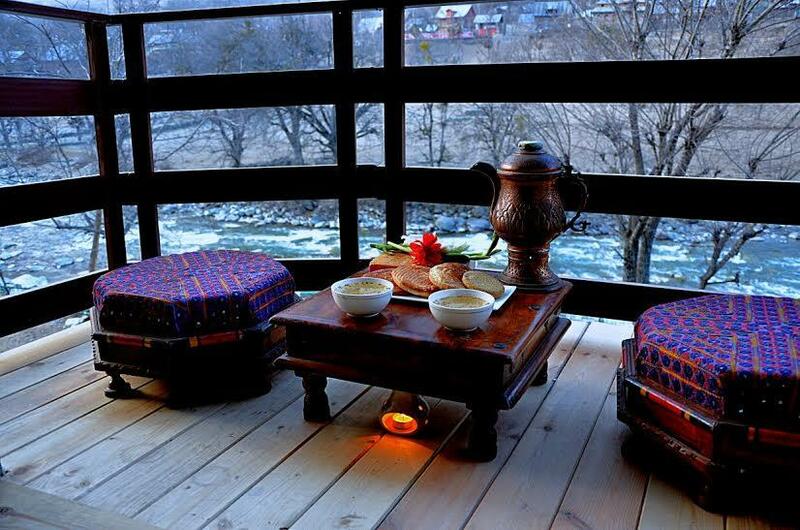 Rah Villas is located just 20 mins before Sonamarg town. Set near a small local village called Kulan it has none of the hustle and bustle of Sonmarg town and its throngs of tourists, pilgrims and trekkers. In Rah Villas there is nothing but the soothing breeze as it ruffles the surrounding cornfields and the songs of the birds as they fly across the sky and view of waterfall. Life here is unmarked by change, the villagers still follow the age old customs and traditions of their forefathers. Visitors are few but they are all made welcome. Here you will find peace that is rare these days, your thoughts interrupted only by the sound of the nearby river. You can also experience of traditional tonga ride in the hotel only. Kulan Village Sonmarg, Kashmir (J & K), India.